We learned so much while designing our new grey and white kitchen with custom cabinets and new flooring. In addition to changing the colors of your wall, you can also choose to paint or stain your cabinets. This is a great way to remodel without the cost of new furnishings. Painting kitchen cabinets are best done in darker colors, as they hide unwanted marks or discoloration that may occur from frequent use. Consider dark browns, blacks, and navy blues when choosing paint colors because the conceal stains, grease marks, and dirt that may be tracked into the area. In addition hiding scratches and marks on your cabinets, darker hues are good colors for your walls as well. 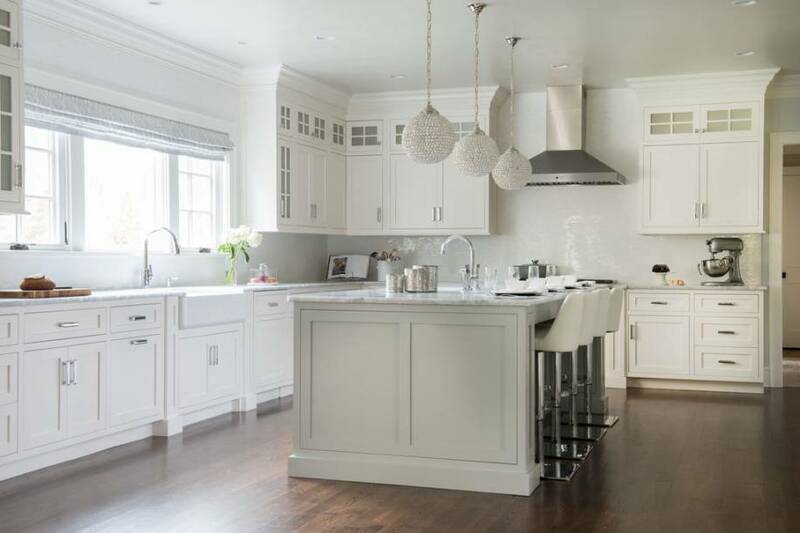 While 2019 white kitchen ideas focused on bright or neutral shades, the best colors 2020 focus on the darker, more elegant hues. As you look through our photo galleries, take notice of the colored photos that show rooms with dark yellows or reds and vivid purples or blues. Popular color schemes will utilize hues that stimulate the appetite and bring about a feeling of happiness. 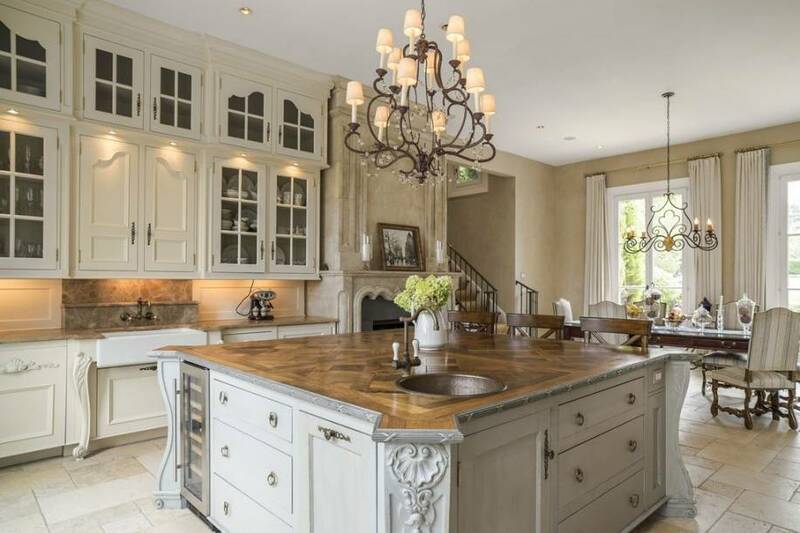 The top kitchen colors 2019 to use in this room include neutral hues such as brown, beige, and white, as well as more vibrant yellows, reds, and greens. The best source of inspiration for color trends is to visit a few of your local restaurants. There you can find the best ideas for the most relaxing and stimulating color palettes to use in your home. 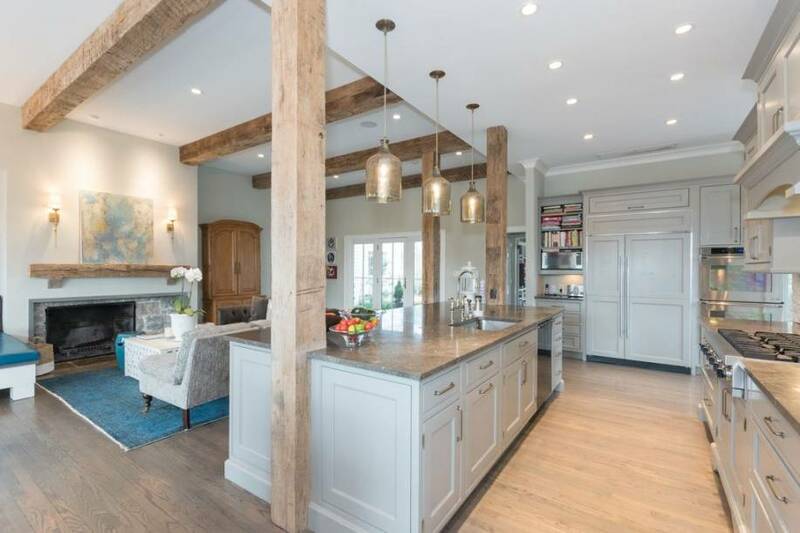 But while a restaurant is a great source of inspiration, the type of kitchen color schemes you choose to use will be depended on the overall decorative theme of your house as well as the color of your cabinets, appliances, and floors. Recently I've come across quite a few interior designs with blue kitchen cabinets that offered an amazing look and feel. These color trends add a dramatic touch to the room and complement the modern style. Another great way to add color to your walls is to include a backsplash into your countertop design. Kitchen backsplash tile not only provide you with colorful designs, but also protect your walls from stains that occur from splashes or spills. Check out other areas of our site for more design ideas, popular trends, and tips for DIY home remodeling. Picking the best paint color for your kitchen walls can be a tough decision. 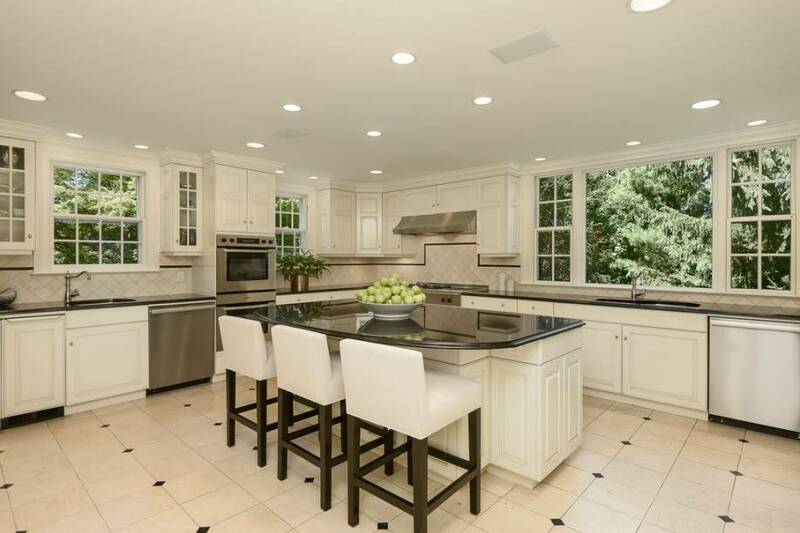 The kitchen is often considered the focal point of your home because it is a place where friends and family gather to enjoy one another’s company along with a home cooked meal. 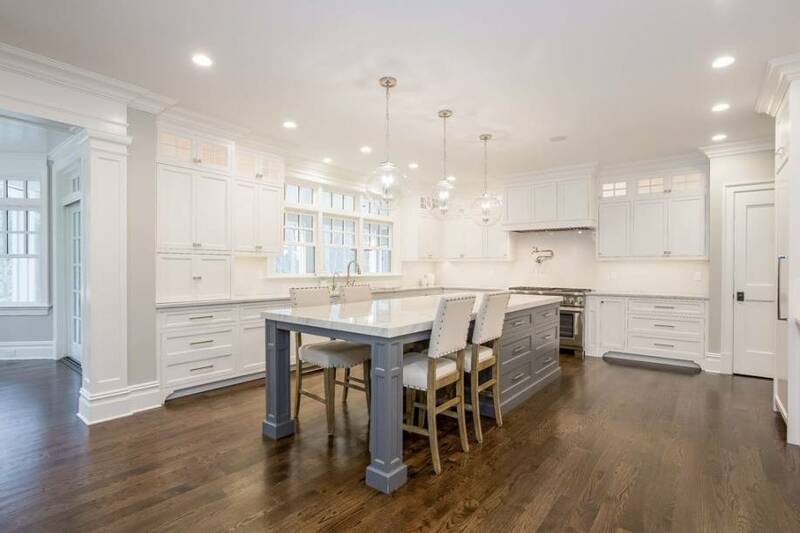 Not only are there hundreds of different hues to choose from that blend well with grey kitchen cabinets, but it is important to pick a color scheme that matches the rest of your house. If you are in the middle of renovating your home, neutral colors such as beiges and whites are an excellent choice because they will match any décor. However, more vibrant colors such as reds and blues provide you with a more vivacious look for your house. A fashionable style is the rustic cottage theme that produces beautiful kitchens that create a relaxing and homey feel. For a cottage theme, consider dark yellows or golds, elegant shades of red or navy paired with cream colored ceramic tiles and brown cabinets. 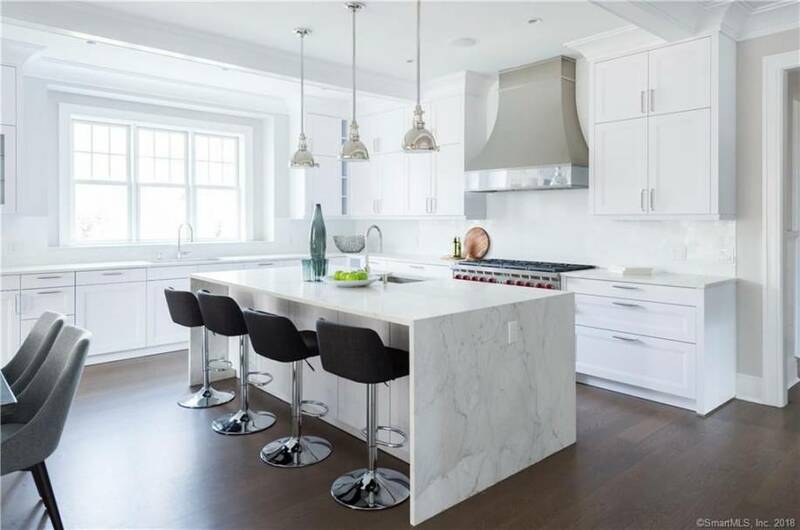 For white kitchen designs with a modern and contemporary design makeover, consider using lustrous chrome accessories and stainless steel appliances to create a crisp, clean look. Other simple kitchen ideas include contemporary styles that use dark brown pantry cabinets paired with soothing shades of blue, brown and tans.